As Jess says "Many of us have caught one and even more of us have probably tried. There's no doubt that these striking fish play a part in many happy memories down by the sea". 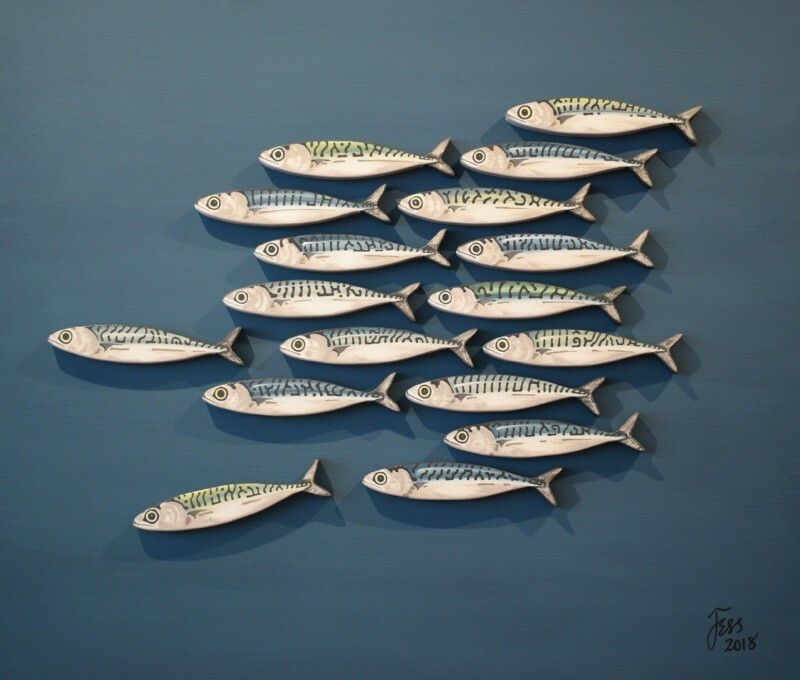 Attending Art School in the mid eighties and continuing to draw and paint ever since, Jess Hughes has translated her love of the oceans into dramatic and highly original artworks, with her mackerel shoals drawing gallery visitors inquisitive attention. Each fish is individually styled and painted with personalities and idiosyncrasies that add layers of subtle charm to these attractive paintings, that genuinely bring smiles to all that view them.